Aleong, said to be from Enterprise, was among those held under suspicion for the Carnival terror plot last February. “Today’s designations are part of Treasury’s and the broader US government’s ongoing and concerted efforts to disrupt ISIS-related financial activities around the globe. The US government will continue taking disruptive action to prevent ISIS from exploiting the financial system to fund its operations,” the department said in a release yesterday. As a result of yesterday’s action, all property and interests in property of the men subject to US jurisdiction are blocked and US citizens are generally prohibited from engaging in transactions with them. National Security Minister Stuart Young told Newsday in a text message that Government worked very closely with the US on issues related to terrorism, terrorism financing and related matters. “This information was provided to the TT Government and is an example of the continued collaborative efforts of the two countries,” Young said. 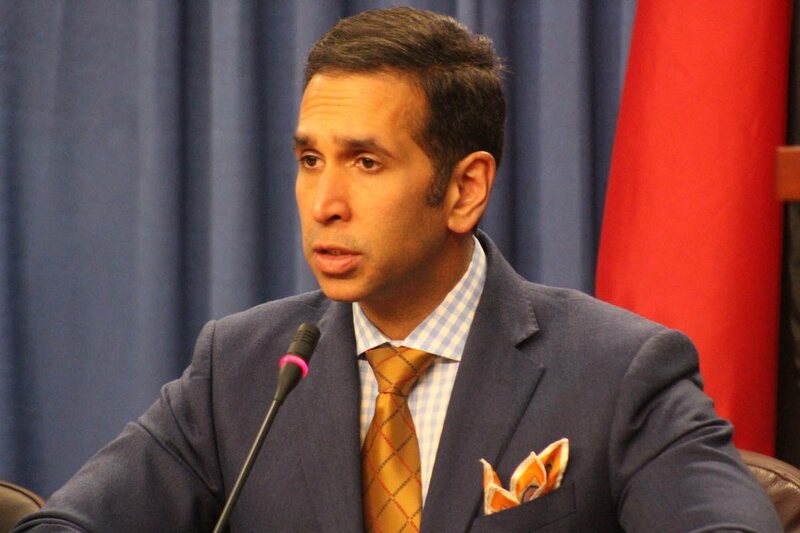 Also speaking to Newsday last night, Attorney General Faris al-Rawi said while the men’s assets in TT have not been seized or otherwise frozen, because they have now been specified by the US government, TT can now make an application in the local courts to add them to a local listing of 353 individuals/entities that have/will have their assets frozen. As it stands this is a strictly civil matter he said, with criminal proceedings remaining an option. When contacted for a response about this latest anti-terrorism action by the US, Police Commissioner Gary Griffith cut short the question to say he will not comment on specific cases. According to the Treasury release, Ali was designated for “acting for or on behalf of ISIS,” and had been involved in money transfers from TT to Syria in support of ISIS. Aleong was designated for assisting in, sponsoring, or providing financial, material, or technological support for, or financial or other services to, or in support of ISIS. As of March, he facilitated money transfers to ISIS members in ISIS-controlled territories. Following the listing of the two men, attorney Nafeesa Mohammed called on the State to do more to protect its citizens from being wrongfully blacklisted. Speaking with Newsday yesterday, Mohammed said there have been in the past, instances of innocent Muslims being red-flagged for simply bearing a similar name to someone flagged by the international community. She called on the State to be an advocate for its citizens as this is a sovereign country. In response, AG Al-Rawi said Mohammed may be conflicted as she represents people who the State has accused of being involved in terrorist activity. He added the State will not act without the proper evidence and it is the court that ultimately makes a decision based on evidence provided, to seize assets of those deemed terrorists or supporters of terrorism. He said the Anti-Terrorism Act provides ample opportunity for citizens to declare their finances through a non-profit registry and the geographical indicators.